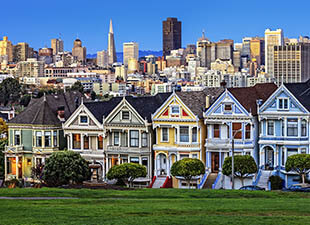 When you visit San Francisco for the first time, attractions like North Beach, Chinatown, and the San Francisco Museum of Modern Art are all must-see destinations. But if you’re looking for adventure beyond the tourist mainstays, the Bay Area is full of quirky destinations and hidden gems. To experience San Francisco adventures off the beaten path, add these destinations to your list. Built into a concrete slope in a small neighborhood park between The Castro and Twin Peaks, the two crazy-steep, curved metal slides known as the Seward Street Slides allow you to embrace your inner child and zoom to the bottom. A word of advice: Don’t try it without a piece of cardboard. You slide much faster and won’t scrape bare legs or damage long pants when you have some protection. The 5 p.m. closing time is firm. Officials lock the slides at the bottom, top, and middle right as the clock strikes 5. Golden Gate Park is home to miles of running trails, bison, two museums, the Conservatory of Flowers, pedal boats — and fairies. That’s right. Look very closely to the left of the path between Stow Lake and the Japanese Tea Garden to find the tiny fairy door carved into the end of a fallen eucalyptus tree. The fun is in the search. If you can find the fairy door, consider yourself one of the rare few. Be sure to peek inside. 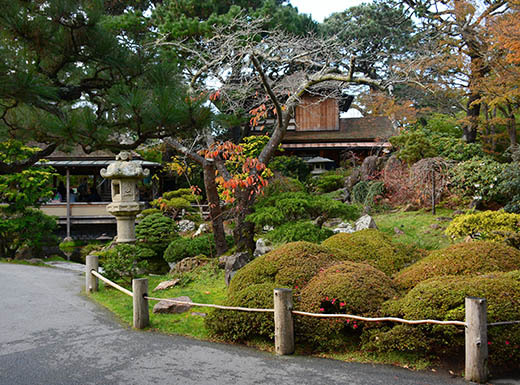 After your quest, explore the Japanese Tea Garden, ride the pedal boats around Stow Lake, or roller skate down John F. Kennedy Boulevard. The road closes to vehicle traffic on Sundays. You may not realize it, but San Francisco has always been a busy port city. To get a feel for life as a seadog, hop aboard a historic ship docked at Hyde Street Pier on Fisherman’s Wharf. Park rangers lead guests in singing traditional sea shanties and sailor songs. They also serve hot apple cider to keep the chill away. Admission is free, but reservations are required. Complete your adventure with a bowl of clam chowder at Crab Station, followed by an Irish coffee at Buena Vista Café. 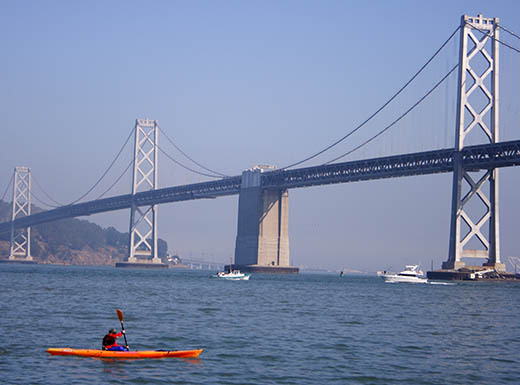 Rent a kayak and paddle the San Francisco waterfront to enjoy some of the best downtown views. On City Kayak’s downtown tour, which caters to both experienced kayakers and beginners, you can see downtown, AT&T Park, the Ferry Building, Treasure Island, and more. Watch the cars pour in and out of San Francisco on the Bay Bridge from the peaceful vantage point of the water. Tours depart from Pier 40 on the Embarcadero. There aren’t many urban spots for rock climbing, especially in San Francisco, but Glen Canyon Park offers some of the best and most varied bouldering in the city. You won’t find tourists at the site, but you can expect to encounter experienced climbers. Work your way up several short climbs throughout the park. One popular climb starts at the main boulder and climbs up the crack until the holds disappear. New to rock climbing? Visit the Glen Park Recreation Center, where all skill levels can climb indoors. From Glen Park BART, it’s a 10-minute walk to the park and rec center. 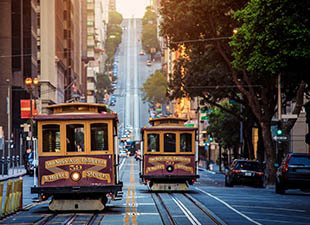 What’s your favorite San Francisco adventure? Share it with us on our Facebook page. 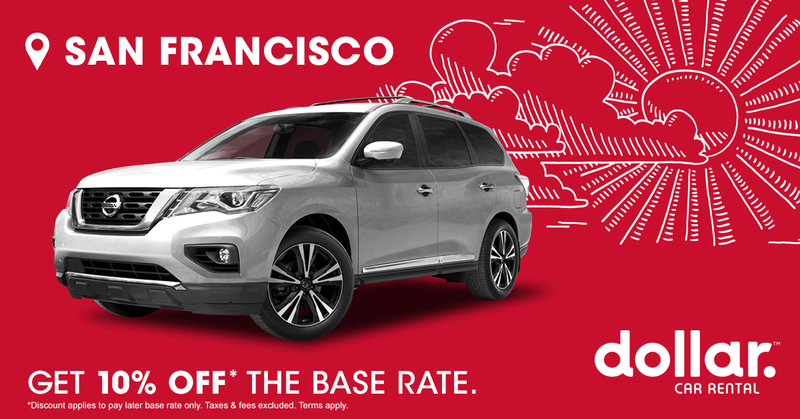 After a day of exploring the winding streets of San Francisco, give yourself a pick-me-up with chocolate that hits it out of the park every time. 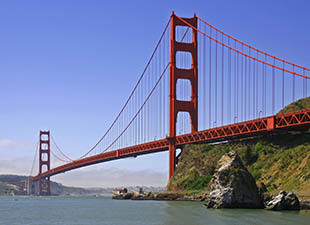 San Francisco has plenty of budget-friendly options for the entire family. Here’s how to save some cash on your next family vacation.